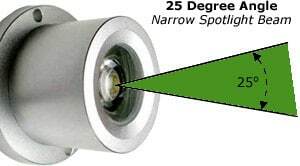 Our versatile Waterproof LED Spot Light provides a vast array of applications for almost any home, business, or architectural purpose. 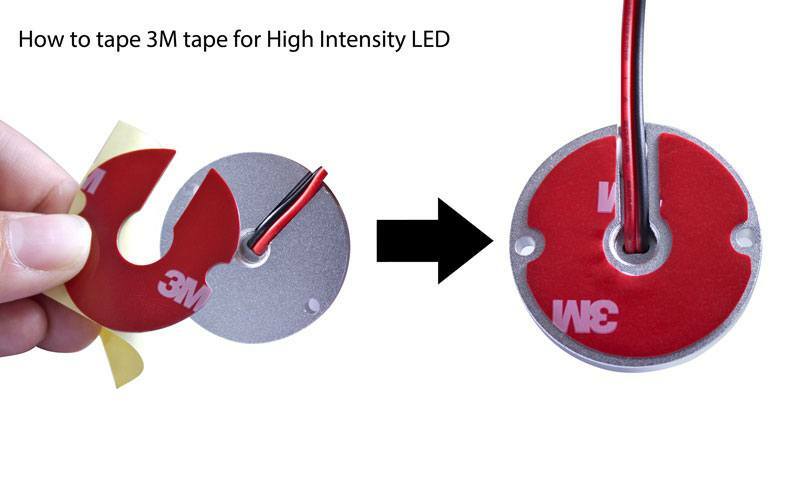 Tired of constantly changing burnt out halogen lamps? Are you tired of keeping the air conditioning on full blast just to balance out the heat output from your halogen spotlights? Eliminate the wasted energy of additional cooling costs, the wasted time of constantly swapping inefficient halogen or sodium halide bulbs. 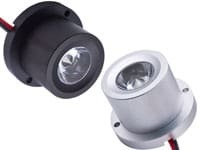 Switch to FlowLighting's ultra efficient, high intensity LED spotlight. This little dome unit packs an incredible punch, with a precision cut-off for flawless illumination, and lasts over 50,000+ hours! No more swapping bulbs every six months in hard to reach places. 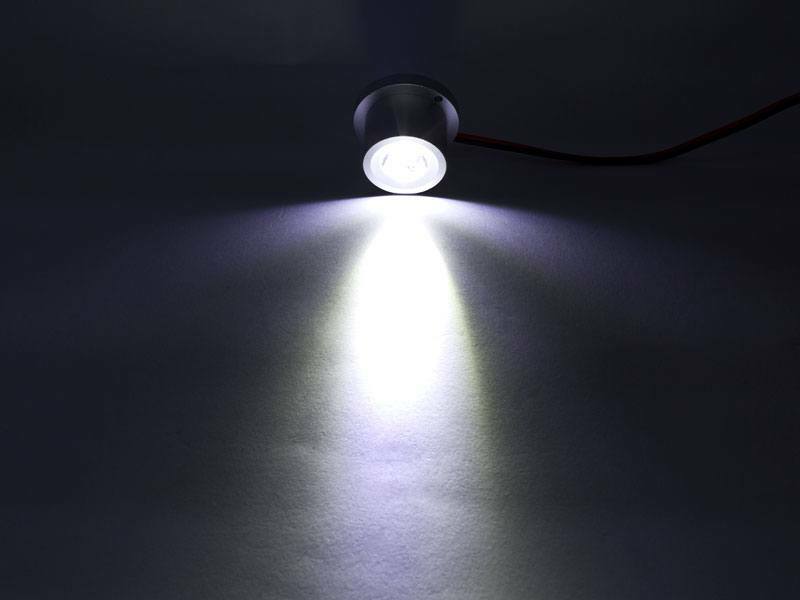 With an energy footprint of just one watt you can forget about high energy bills, not only due to the saved energy from your spotlights, but energy saved from not having to pump up the air conditioning to balance out the heat from halogen spotlights / sodium halide ballasts. 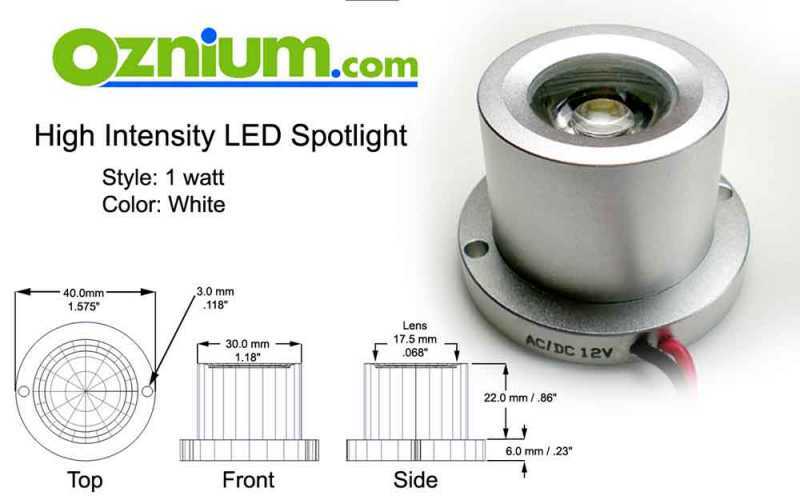 Oznium's extremely energy efficient LED spotlights utilize only 1 watt. That's less than 2% the energy a normal halogen spotlight uses! You could replace one 60 watt spotlight with 60 of our spotlights, with a lot more light output, and the same energy footprint! 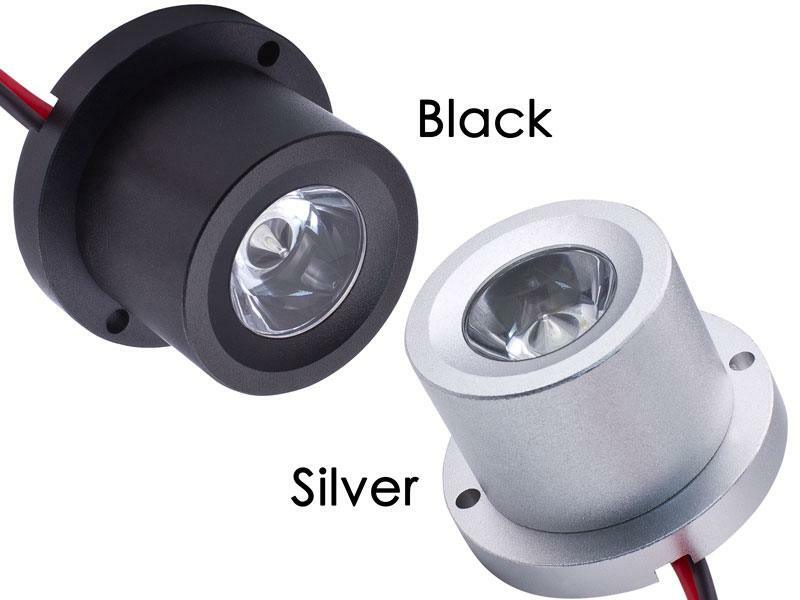 Due to the specially designed aluminum housing the LED sits in, heat dissipation isn't a problem, you could keep this spotlight on 24/7, and spend less than $3.00 per year powering it. This product is the epitome of efficiency, all packed into a tiny dome. 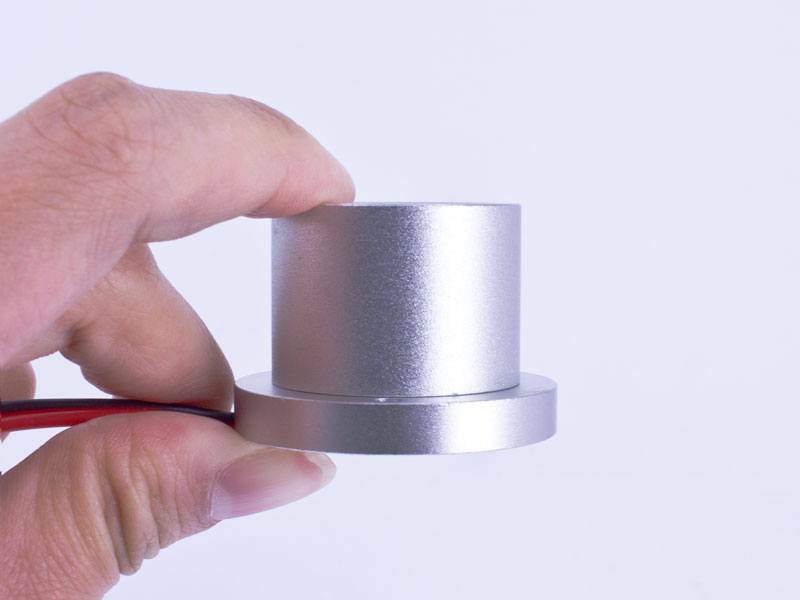 This ultra-powered spotlight can be used for an incredible variety of lighting tasks in your home or business, including: art lighting, fountain lighting, garden spotlighting, track lighting, or whatever you can imagine. Since they're waterproof you can use them outside, regardless of weather. 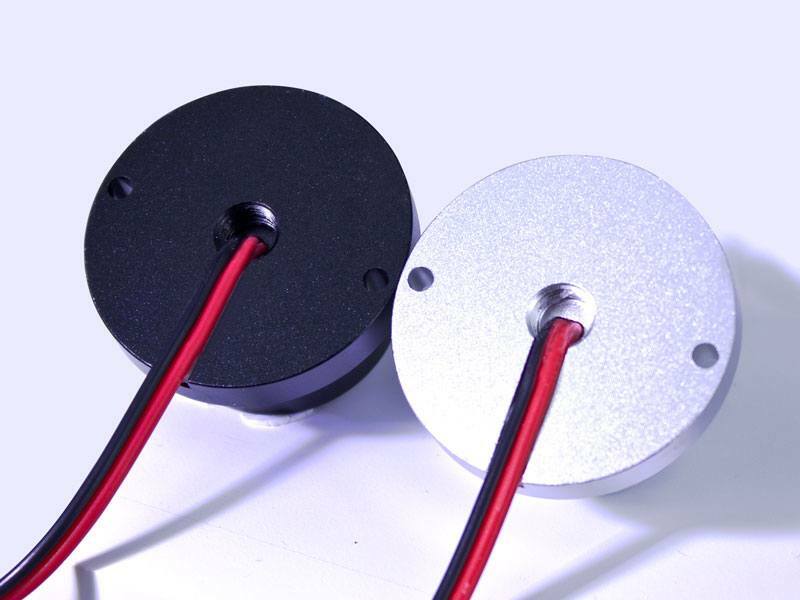 Each unit also includes two screw holes for seamless mounting, almost anywhere. This product is fully waterproof. Once you secure your wires, it can even be fully submerged for years of underwater brilliance. 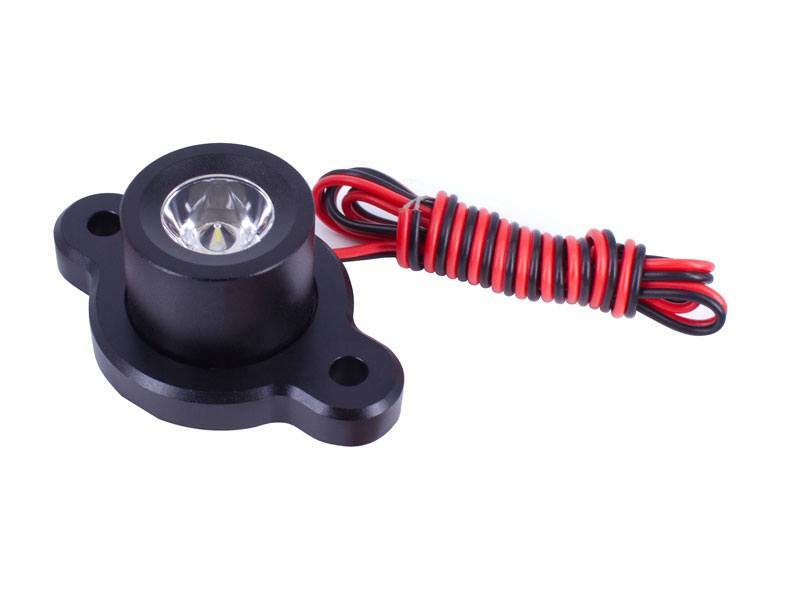 And your options are endless, because this spiffy LED dome module is available in six eye-catching vibrant colors: warm white, cool white, red, green, blue, or amber. 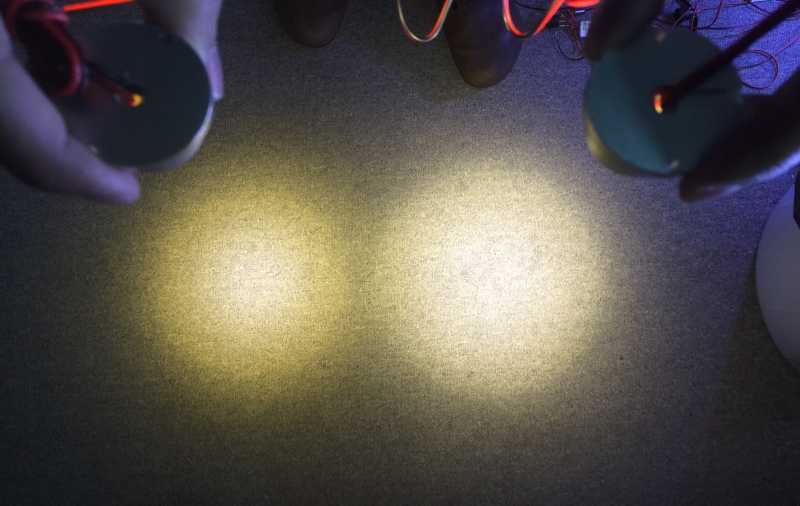 Side by side comparison of 1w (left) and 3w (right) high intensity spot warm white. 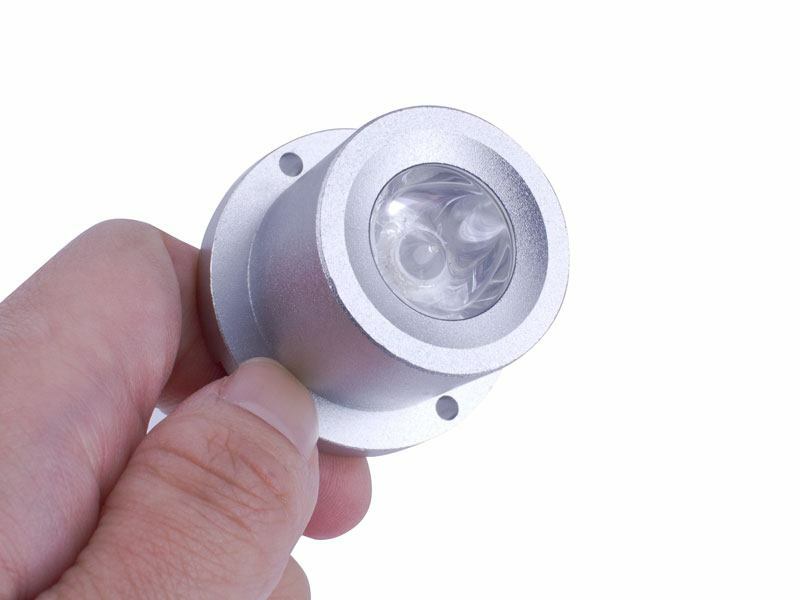 You are currently viewing Architectural applications for our High Intensity LED Spotlight. Our customers have asked 21 questions about this product. I've had two in operation as under-hood lights (evidently, paying $70k+ for a Grand Cherokee SRT doesn't not automatically assure you of a light under the hood....*rolls eyes*) for over 4 yrs with nary an issue. I installed lights under my boat for swimming and fishing. Installed lights in all storage areas for the boat and accent lights on the boat. Have been in for two years and have worked fantastic. Shopping today to add more lights to pontoon and my bass boat to make easier to see at night. 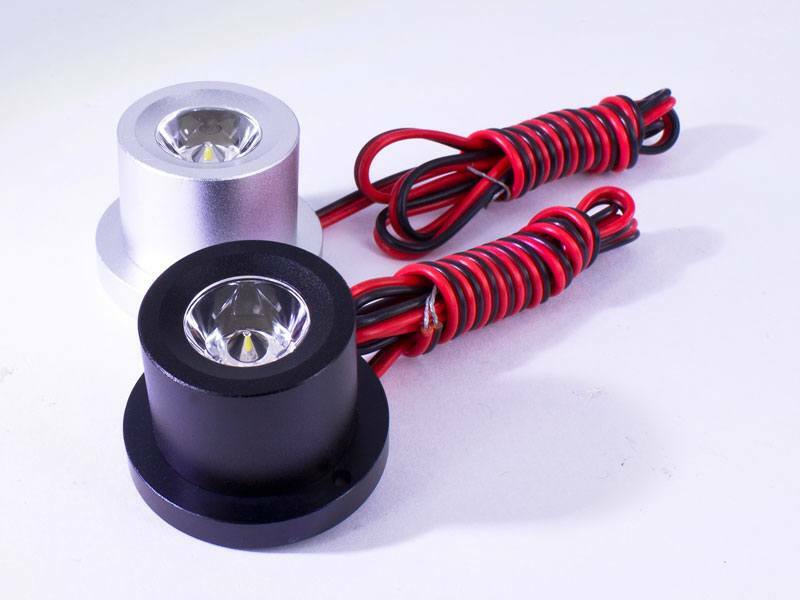 I've ordered many led products from oznium.com for my motorcycle and truck. Always satisfied. 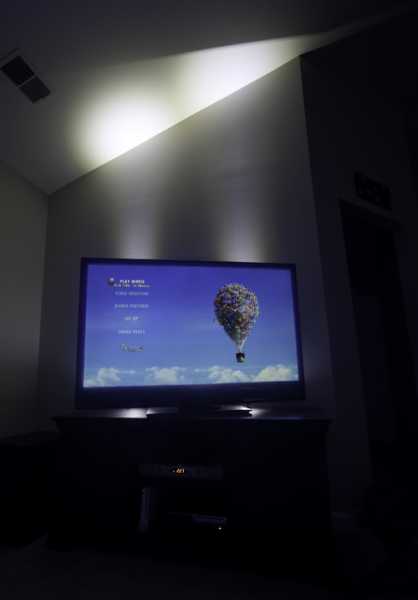 But I had to make a quote regarding the led spot lights. I have the led flood lights. Great! But these are by far the brightest led modules I have ever purchased! 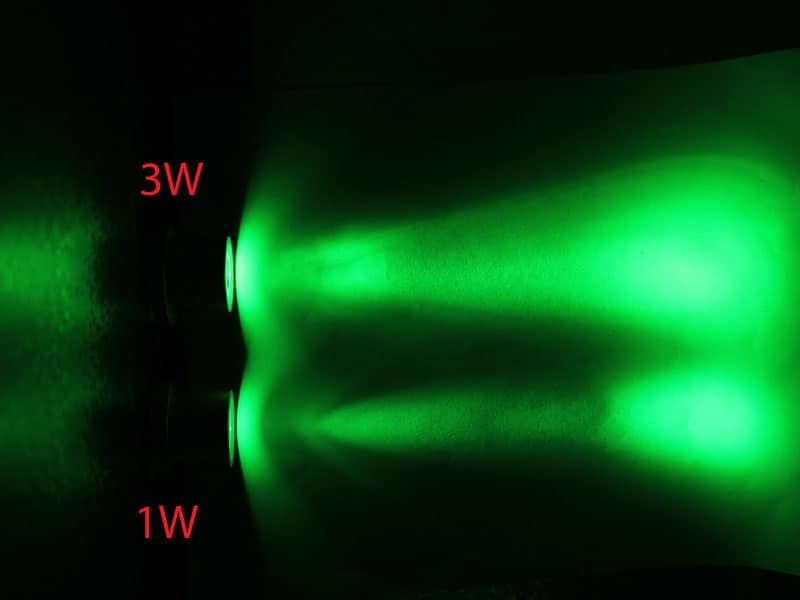 They have a perfect "long range" I'll add consistent light pattern. Incredibly bright... Wow! Bright with a long reach. I used these in my boys Power Wheels Escalade project and they emit a very bright and long distant reach light. The pre-wiring was about 2 feet already, so there's another win right there. The build of these lights is excellent. I got the "cool white" version and the overall color is nice but there's a slight "halo" of yellow/warm white around the beam. I'd give them 5 stars if it weren't for this warm color. We install custom outdoor lighting- the led spots and floods have proven to out preform all other 12v type offerings from h depot or lowes. We take the store bought low v fixture and gut it and install oznium 1 watts in all- there brighter and will easily replace a 50 watt halogen low voltage lamp( perfect for lighting columns trees etc.- allowing for more light fixtures on a run with a 200 watt timer/transformer. I've used the floods (with improvised hood/shade) for pathway/step lighting outdoors --- used the spots for under water on the boat --- and used GREEN spots to up-light a 25' river birch in the front yard --- ALL with RAVE reviews. Oznium even sent me a replacement green spot (at 0 charge) when I received a defective one. 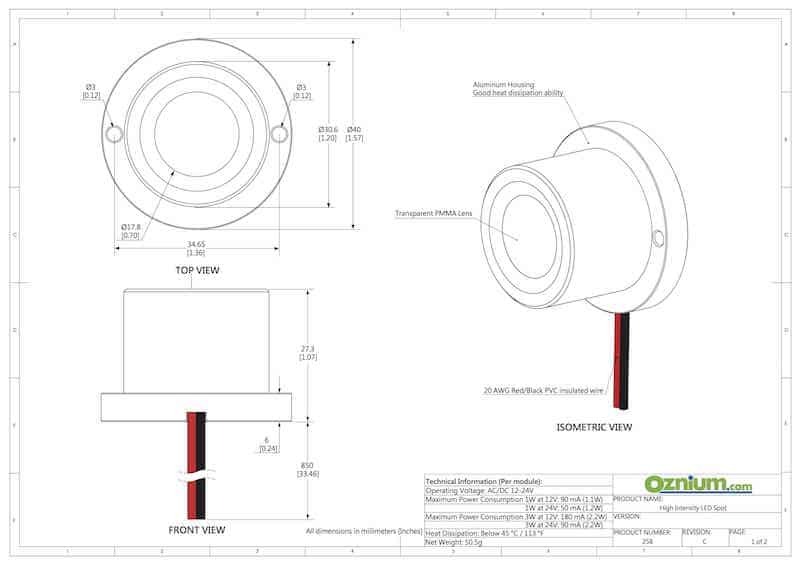 Service, Quality, AND price --- Oznium Delivers again & again!! Was a little concerned about their size/intensity  application 12v low voltage system to up light 8 Ft tall round Grecian columns in hotel patio amazing brightness and powerful beam> nice discrete light my customer wanted to see the result of the light beam not huge light fixture (the source) These are easy to hide and position. Will use on all our high end landscape lighting jobs. 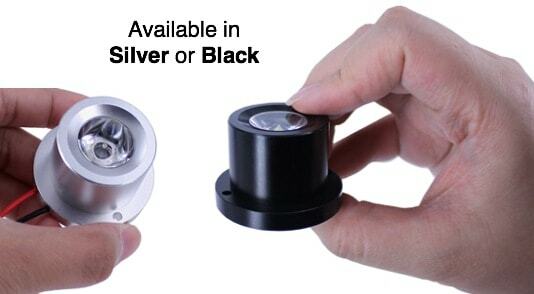 These Led Spot Lights are so bright, you can even see them during the day!!!! When night falls, they are blinding. I used them to light up an airbrush design under my hood, and look at the Day vs. Night pics under the action shots. You be the Judge!! !